Cob Gallery returns to Photo London this year with a selection of work by Casper Sejersen, a Danish photographer whose inventive and challenging imagery balances serenity with violence and takes unusual cues from sound and rhythm. Known best as a fashion photographer whose work has appeared in publications like Another, Dazed and the New York Times,Sejersen has spent the past few years carving out a niche that confounds distinctions between the commercial and the creative. While travelling the globe shooting editorials and campaigns, he quietly set about cultivating a parallel, shadow world in images: an idiosyncratic optical diary combining moments of strange tranquility with others soaked in visual noise. 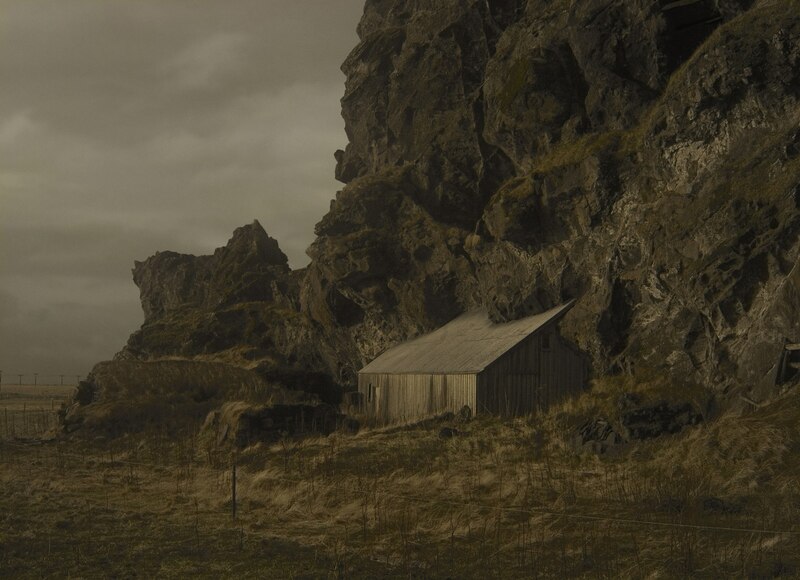 This exhibition combines a number of these photographs with others taken from Sejersen’s book Belongs to Joe, produced in response to his employment as the photographer for Lars von Trier’s 2013 film Nymphomaniac. Hired for the press campaign and handed a copy of the script, Sejersen found himself diverted by what he regarded as its numerous unfilmable elements. He set about developing an alternative visual response, transmuting the themes of the film into a symbolic language centered on playing cards set out according to the Fibonacci sequence. Sejersen declares himself influenced by music; a colour; an expression; a word. His images suggest the contours of an imagined continent soundtracked by Antonín Dvořák’s New World Symphony. Fleeting, thunderclap moments — a bed sheet caught in mid-air; a car exploding — are offset by others that suggest prolonged exposures and protracted stillness. Improbable, lost-world landscapes cloaked in mist; flowers wilting softly in a vase. A synaesthetic rhythm begins to emerge where waves of seismic duration intersect with staccato shots, and colours take on pitch and volume. And all the while, Sejersen’s subjects are depicted with a directness that invites the impression of a veiled symbolism. On the one hand, this directness is linked with an honesty that matches Sejersen’s disinterest in arguments between digital and analogue photography, and his openness to the creative potential afforded by combining both techniques. On the other, it has to do with his interest in blurring the lines between accident and design. The attraction of the Fibonacci sequence starts to make sense here: a key to some of nature’s most striking and intricate forms whose baffling simplicity — add two numbers in the sequence to get the next — nevertheless produces an uncanny impression of intelligent design. This impression in germane to Sejersen’s interest in confounding the space between composition and chance encounter, where stage sets seem accidental and the apparently accidental is in fact subtly organised and considered, returning the viewer’s gaze with an unnerving frankness. This exhibition of Sejersen’s work at Photo London will simultaneous to Sejersen's debut solo exhibition of new works 1,2,3,4 at Cob Gallery, co-curated by Rose Forde.